Our client, Miss O, suffered life threatening injuries in rear-end shunt car accident on the motorway, leaving her with frontal lobe brain damage with modest cognitive deficits. Miss O was six years old and travelling in the rear of her father’s car at the time of the accident. They were travelling on the M11 when they were struck at speed from behind, whilst stationary in a queue of traffic. Miss O sustained life threatening injuries including a right fronto- parietal region skull fracture along with non-displaced fractures extending to the floor of the eye socket and bleeding within the brain in the right frontal regions. Miss O made a remarkable recovery from her injuries but was left with an ongoing modest cognitive deficit and a wide range of frontal lobe injury related symptoms, including poor organisational, budgeting and planning skills, impulsive uninhibited behaviour, poor insight and empathy with others. She also suffers considerable fatigue. 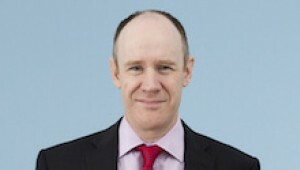 Graham Bell, specialist personal injury lawyer, was instructed to act on Miss O’s behalf case. The case was made that Miss O lacked capacity to manage her affairs and a Deputy was appointed to manage her affairs. Liability for the accident was admitted at an early stage and Graham instructed experts in a wide range of fields to report on Miss O’s injuries, including neurodevelopment, neuropsychology, neurology, neuropsychiatry, care and education. Miss O continued to have treatment paid for by the defendant’s insurers during the course of the claim. The parties were in agreement that Miss O had suffered a severe traumatic brain injury with continuing deficits. However, there was considerable disagreement between the parties' experts as to the impact of those deficits on her present and future needs for care and case management and the likely impact on her employment. Miss O’s experts considered that although she had retained very considerable cognitive function, she ultimately lacked capacity to manage her finances and required care, case management and deputyship support for life. They further considered that her fatigue and cognitive deficits were likely to have a very substantial impact on her future employment and promotion aspects and, in particular, her ability to cope with raising children. During the course of the case Miss O symptoms and circumstances evolved and changed. She did better than expected at A Level and started a degree course at University. She did not wish to disclose her brain injury and therefore no special accommodation was made or support offered. This was the first time that Miss O had lived independently away from home. She soon started to struggle; she faced difficulty with fatigue, coping with long term work placements, difficulty meeting deadlines and difficulty managing her finances. She eventually quit her course, without having completed the academic year or her assessments. The following year Miss O started a new degree course at another University; this time she disclosed her brain injury to the university which made a number of concessions including additional time in examinations, one to one support and considerably shorter work placements. Whilst at University Miss O received considerable support from the university disability service, her parents, her case manager and deputy. Miss O’s experts argued that she would continue to require such support in the future in relation to employment, living independently and managing her finances. The defendant insurer continued to argue that Miss O would be able to cope largely unaided, and these issues remained in dispute throughout. Prior to trial, Graham successfully obtained a settlement of £2.9million to compensate Miss O for her pain and suffering and to pay for her future care needs. Graham specialises in brain injury cases. If you would like to ask Graham a question about a potential case, or if you have a general query about any personal injury, contact Graham Bell at Thomson Snell & Passmore solicitors on 01892 701358 in confidence.